Should the Beer Industry Be Worried About Cannabis? The question is, should the beer industry be worried about the rise of the marijuana industry? The question is, should the beer industry be worried about the rise of the marijuana industry? To put it simply, no. But it doesn’t mean they’re not wary of their new next-door neighbors. Many factors determine whether an industry will grow, or wither and die. Any industry that caters to a trending market is bound to grow, and right now that market is health. Living a healthy lifestyle has become the new fad. New years resolutions of becoming a better you, the magical 7-minute ab workouts and the popularity of juicing are all part of the new health market. So how does that apply to consumers within the beer and weed industry? Between drinking beer or consuming cannabis, the healthier choice is a no brainer. Beer, an alcoholic beverage, is linked to major health risks including cancer, weight gain, and diabetes. Cannabis, on the other hand, has made major headway through various studies that all point toward bettering a person’s health. The consumer demographic also plays a part in determining the growth of a specific industry. Beer will always have loyalists, from the blue collar-tab-popper to the bearded hipster sipping homemade infusions. Unlike cannabis, beer has established its roots within American society for the past hundred years. However, unlike beer, the cannabis industry is growing at such a fast rate it would be sheer stupidity not to recognize this leafy newcomer. If we take a look at the numbers, marijuana doesn’t even come close to beer sales. 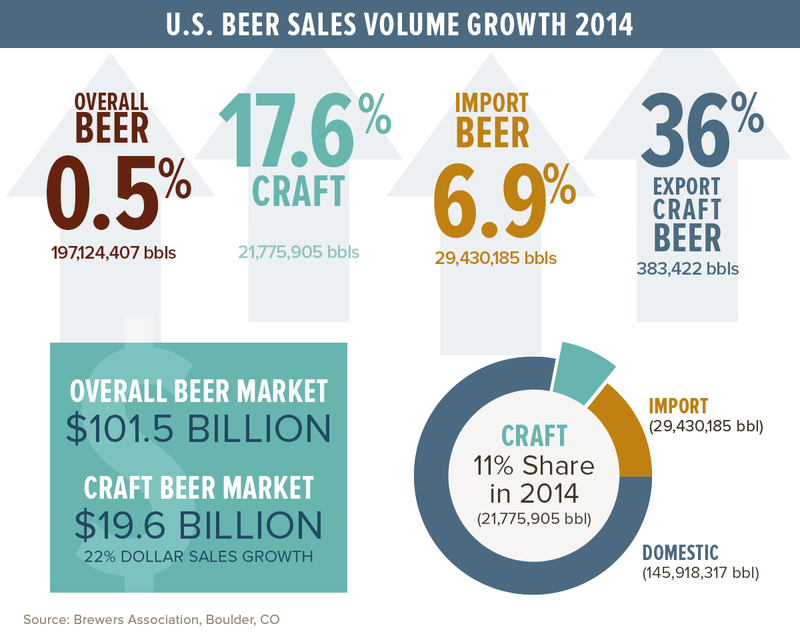 According to the Brewer’s Association, beer brought in around $101 billion in 2014. With marijuana sales topping out at $700 million in the same year, beer remains the reigning champion by a large margin. That isn’t to say they haven’t worked hard for these numbers. And what’s hard work without getting your hands a little dirty? In 2010, the California Beer & Beverage Distributors contributed $10,000 toward fighting against Proposition 19, which would legalize recreational marijuana in California. Needless to say, beer won. Numbers don’t lie. No one can argue that beer remains the leader within its space. But will cannabis eventually catch up? Is the marijuana industry growing at such a fast rate that it will surpass the beer industry? If so, what will that mean for American culture? Let us know your thoughts via social media or comment down below.